I was catchin up on blogs the other day and visited an old favorite, Noe Place Like Home. Melanie is gifted with the camera, in the kitchen, with crafts, in parenting, and well, you name it. She does it well. When I saw that she had made these amazing looking Chocolate Chip Cookie Dough Brownies I was sorta entranced by them. I kid you not, they sat on my computer for three days before I finally “made” them. Can you sense the foreshadowing? When I read the recipe Melanie posted I could NOT figure it out. Is the cookie dough raw? I cant make those. But I must! Am I dense? (dont answer that) Why cant I figure this out? Well. I decided to change things up a bit. I decided to get crazy and add caramel. I mean, caramel is always a good addition right? Then added my brownie mixture and baked away. I had big hopes I tell you. Big. Try googling ‘cookie dough brownies’ sometime and you will see my tragic mistake. Or I can just tell you. 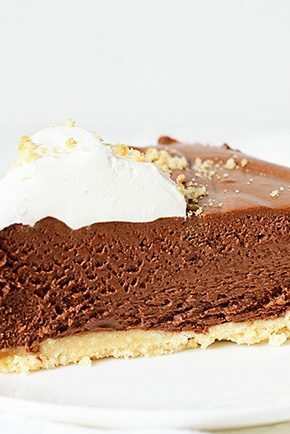 Every single time someone posts a recipe for this combination, the brownie is on the bottom. Every. Single. Time. Me, in my genius, had decided to venture out on my own. I dont recommend that. Ok, I DO recommend that. But for You. Not for me. I did not like how they turned out so I threw them in the freezer and went about my business. The next day I took them out of the freezer (let them defrost for a bit) and tried one. The caramel suddenly made sense and I liked the marbling that seemed to have occurred when baked in my horribly backward method. And when frozen/partly thawed they cut so nicely. But then I got bored. And knew I had just purchased some all natural white chocolate chips. I am such a sucker for anything that says all natural. Even though 90% of the time there is NOTHING natural about it. Here is Melanie’s original recipe. I highly recommend making these her way first!! I boxed some up and pretended I was going to be generous and give them away. I am still working on the actual giving them away part. Just in case you like free stuff and money. So would you recomment this path? 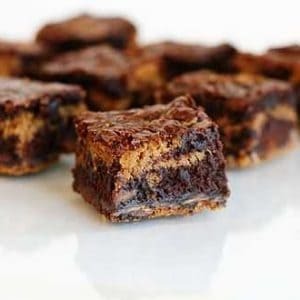 I have seem similar recipes that say to spread the cookie dough on top of the brownies….but how does one do that without smushing them into the brownies? I think bakerella has a recipe where she drops the dough into the brownie recipe. I like the addition of caramel. Those look SO GOOD! Since they are all boxed up, want me to send you my address so you can send them to me? 🙂 Have a great day! Caramel and chocolate are the best and I love the raspberry garnish! All your desserts sound amazing. These would be dangerous around me. I, for one, am glad you mess with recipe’s! You really can never go wrong with brownies and cookie dough. I’m so glad you stuck them in the freezer and didn’t give up! Good Glory – how on earth did I miss THIS post the other day? These look absolutely decadent (that’s my new favorite word relating to yummy sweets).And the caramel….I must admit, I thought you added peanuts, and was SO disappointed, me liking my peanuts plain and not in my baked goods… But caramel! YIKES! 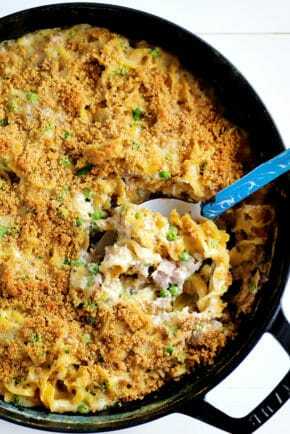 This recipe is screaming to be made in our house this CHRISTmas season! Thanks for sharing. =) Happy Weekend! Isn’t it great how sometimes mistakes turn into something great?? 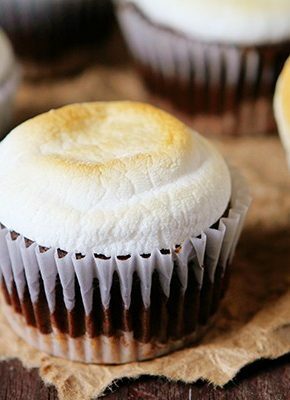 These look amazing…I love your addition of caramel! I really need to make cookie dough brownies. They’ve been sitting on my computer asking me to make them for months. I love the colour of your cookie dough brownies, they’re gorgeous. This looks great especially when you add strawberry on your brownie. I think I should make some of this to share with my best friends. 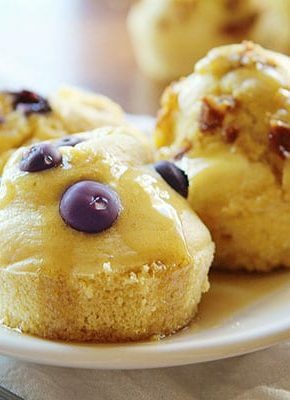 This recipe is indeed a sinful one.I can’t say no of trying your recipe this weekend. Thanks for sharing you yummy brownies. I’m a little late to the game on this… but I thought I’d share that here at Vanderbilt we call them “BROOKIES.” They’re by far the most popular treat in our cafeterias (which, btw, serve surprisingly good food), and, yes, the brownie part goes on top. I can’t imagine it any other way. Brownie? Caramel? Cookie Dough? This is like my holy trinity of delicious!!! As much as I bake and give away, I would just take them with a fork and lock myself in a room away from the kids for an hour. Or 20 minutes, I highly doubt it’d take me an hour to work through the pan. YUM! Make up the Betty Crocker mixes. Put the Brownie Mix in first. Then put huge globs of cookie dough in. Bake for 25-3 minutes and let it cool completely ( 1 hour approx.). Then pour the chocolate ganache on top. Wait for the ganache to set. * Alternatively, make your own batters. is it really 13×13 baking pan that I will use? what pan can I use? Please reply. I will do this recipe next week.